Brian O'Driscoll and Amy Huberman enjoying Prime by Aldi at Taste of Dublin. It's been a busy week for Bono. In addition to U2's residency at New York's 18,000-strong Madison Square Garden, he found time to crash a hen party in the Hamptons and now he's spending his time with Ireland's golden couple. 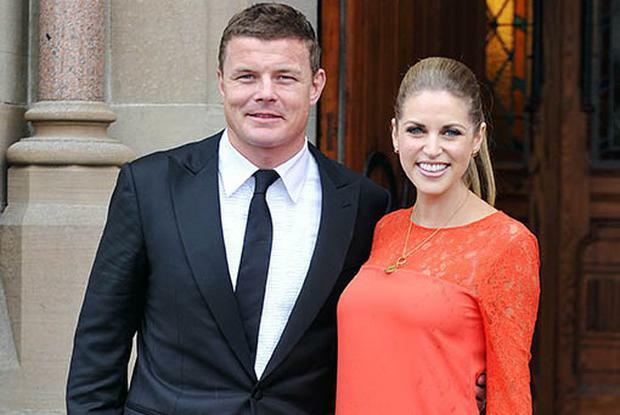 Brian O'Driscoll and Amy Huberman jetted to the Big Apple earlier this week and are enjoying the perks of celebrity by nabbing not only VIP tickets to see the concert, but the opportunity to spend time with the main man. Amy, an avid social media user, posted the picture on Instagram, captioning it: "Karaoke night! #MSG #NYC." The fashionista, whose selling power is more apparent than ever, opted for a black shirt dress and gold accessories. The pair are currently in the middle of a heatwave with temperatures reaching 35 degrees in NYC. Earlier this month, they enjoyed a getaway to London to take in a few days at Wimbledon at the royal box. It's likely the loved-up couple, who have two children Sadie (two) and Billy (nine months) are celebrating their fifth wedding anniversary.